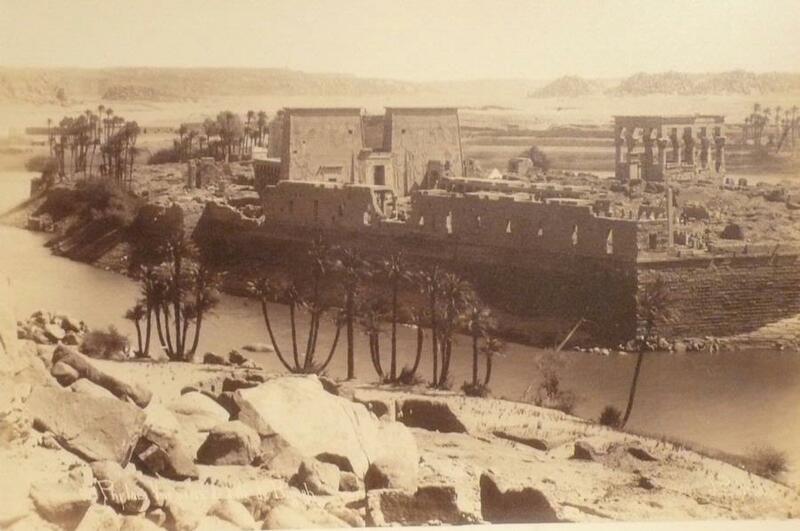 Beginning with damming in 1902, Philae was almost completely submerged. By 1960, Philae's temple complex was moved, piece by piece, to Agilkai, 550 meters away, where it was reassembled and remains today. This photograph constitutes an extremely valuable record of monuments that have since been relocated to higher ground due to the Damming project.